We had our perfect little wedding last week August 25th on Saturday. From each detail of the wedding, to the ceremony, to the reception, it couldn't have been any better. This past year had its good moments, its bad ones, and now we're onto the amazing ones. 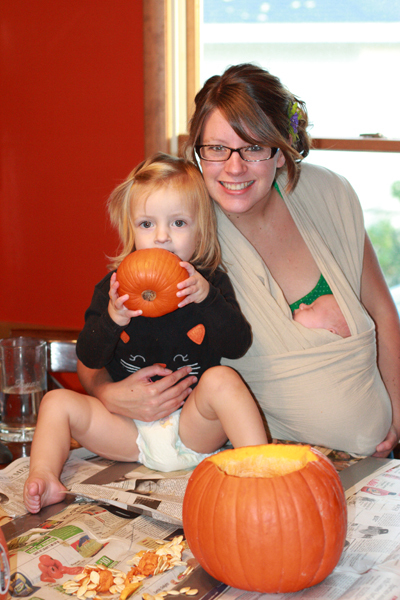 I think back to last year, I was around 38 anxious weeks pregnant with our 2nd beautiful daughter. 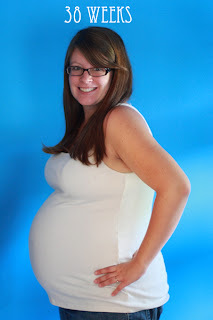 I had a rough August with being pregnant, between pre-term contractions and absolutely 0 sleep, I was so ready! It amazes me how much life changed the day she was born. She was such a sweet little girl, with big chubby cheeks, the smallest newborn whimper, and everything couldn't have gone more perfect with my labor and delivery. She was a perfect 7lbs, 10 ounces and 20.5 inches long! And in my opinion she looked so different from her big sis. I can't believe in a little over 2 weeks we're going to be celebrating this beautiful little girl's Birthday. Little did we know that she would have one hell of a 1st year. When she was 2 weeks old, I fell asleep on the couch she started to whimper and I went to nurse her. I then said to Ryan "Please take Mal, somethings not right". I put my hand on my stomach and experienced some of the worst pain of my life, so bad that after 3 minutes Ryan called an ambulance. When I arrived at the hospital they did an ultrasound and found that I had gallstones and pancreatitis on top of it. I spent the next 3 days on antibiotics and had surgery to remove my gallbladder. We stayed with my mom for a week following surgery. Mal and I hit a big bump in the road when it came to nursing. 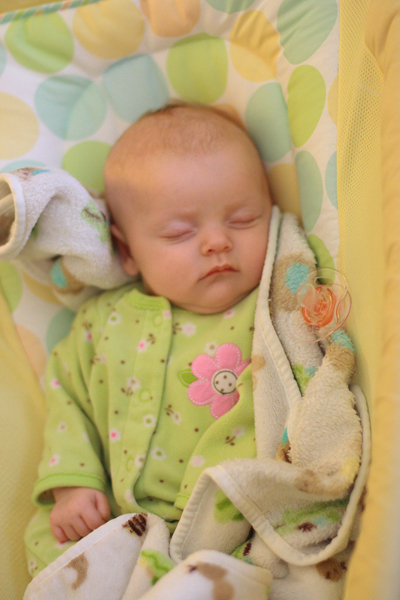 She would wake up every hour or less to nurse, it seemed like she was never going to eat more. Believing it was my supply that caused this issue I went to her doctors office and was prescribed a medication to up my milk supply but instead I just walked around with way too much and Mal was still taking the same. After 6 weeks we then went in again and she was prescribed Zantac, thinking that possible it was because she had reflux (although she never puked, I had thought it may be just a bit of an upset tummy since her big sis suffered from extreme colic as a baby). After 7 weeks of fighting it, I threw in the towel on nursing. We went in for her 8 week checkup, at this point she was taking no more than an ounce of formula at a time, which was irritating but manageable. Her doctor then did her 2 month well child visit, checked her tummy, walked out, came back in and decided to do another check. He felt like there might be an enlarged kidney or spleen. I was told that we would be setting up an ultrasound at Helen Devos to check to see if anything was going on.She received her 2 month vaccines and we were on our way. I always call Ryan on our way home from these appointments, to let him know all the cute little statistics and such. For Mal eating so frequently even though it was a little bit at a time she was gaining weight like a normal child. I couldn't get the ultrasound out of my head. When we got home from the doctors office Mallory started crying, and crying, and crying. Something I had never experienced with Jillian, usually she just took them like a champion, but then the little red flags started going up even higher. I had gotten a call from Helen Devos about setting up the ultrasound, we had 2 options to go in the next day at 7:30am or to wait for 2 weeks. Thinking that we didn't want the weight of this to hang over us for 2 weeks we would just opt for the next day apt. That night we did a google search about "enlarged spleen or kidneys" well the first thing that pops up is "CANCER". We stopped searching right away, we couldn't bear the thought. That night I remember balling and praying to God that our daughter would not have cancer. I snuggled Mallory all night long, I cried, and cried and cried. The next morning Ryan took off of work so that he could be there for the ultrasound. We entered the room and the lady that was doing it was very sweet. She told us that they would call us with the results in a week or so. We had small talk for a little while, she started scanning Mal's left side and STOPPED TALKING, she got up from her chair and told us she had to have the radiologist look at these a minute. My heart started racing, I felt sick to my stomach and we were told nothing at all. She came back in the room and told us that she would be scanning her right side next, still never saying a word to us, she then left the room again and came back with the radiologist for him to scan some more. We were then lead to a different room and told to wait. Knowing that we would not be recieving any news in the next week, knowing that it was entirely possible that we had the kid with cancer was more than we could bear. We sat there for what seemed like an eternity when we were told Mallory's pediatrician was on the phone and had to talk to us. I remember just breaking down when he said "They found 2 large masses on Mallory, we're going to figure this out, we'll be praying." My heart sank, it shattered, it fell to pieces. We had no idea if it was cancer, but there were masses, what else could it be? We were introduced to a slew of nurses and an oncologist. They had given us contrast to give to her so we could get a CT in, I held her down as they attempted to put an IV in, which failed to work, I just remember the blood from that alone. How could I take anymore. We were escorted to the 9th floor which is the Hemotology / Oncology inpatient floor of the hospital. By now we had assumed she had cancer, no one could say for sure at this point. Mallory then had a CT scan done, a urine check, and an echocardiogram. We were introduced to Dr. Kurt a pediatric oncologist and Dr. DeMarco who was working with us the whole day. Our families were sitting with us when they broke the news. Mallory had a tumor the size of a baseball on her left adrenal gland and a slightly smaller one on her right side. They were pretty confidant that it was Neuroblastoma because of where the tumors were located and the fact that her catacholomine levels were very elevated. We had never heard of Neuroblastoma. 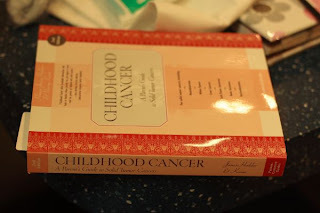 I remember skimming through a chapter of "What to expect the 1st year" and in there it states not to worry about childhood cancer, it is EXTREMELY RARE. The day she was diagnosed all bets were out the window that we no longer knew what to expect. All of our hopes and dreams of our perfect family of 4 just weren't going to happen, our winter of baking cookies, drinking hot chocolate, and doing anything normal just disapeered. That was the 1st time I'd ever seen Ryan cry. We both felt completely helpless. We then met with Mallory's surgeon who had given us more explanations to what he would be doing. We had hoped and hoped that they could do a laproscopic surgery verses an open abdominal. But because of her sizes and the fact that the tumor was so large that would not be possible. He had hoped that because the tumor was so large that it did not begin to infuse to her stomach and from what the CT had showed it looked like it was just pressing into it. They would also be putting in her central line Broviac, honestly this scared the hell out of me. 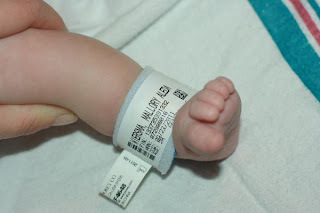 They explained it to us, we didn't have another option because her size she could not receive a port, and this would prevent her from many pokes. She would also have a bone scan and a bone marrow biopsy to rule out any more cancer spread. I remember reading Ryan's prayers Dear God, please be with the surgeons tomorrow. Guide their hands and their minds to do the best work possible. Please let them have a productive surgery, and let Mallory come out of this stronger than ever. Oh, and please God, if it be thy will, please let the doctors leave all that extra blood on the shelf. They won't be needing it. Amen. To this day, my heart still hurts when I read this. The next day was the big surgery December 1st, we were lead into a room with Mallory's anesthesiologist, she was a warm hearted person and as the tears floated down our faces she too began to cry. She told us that "I'll be the doctor when we go back, but I'm a mom too! ", quiet frankly this was something we will never forget. The love from a person we had just met, that she was taking care of our little baby. They then began to take her back, I held on tight, we all kissed her, and kissed and kissed her. The prayers from around the world started flooding in, for our sweet girl. 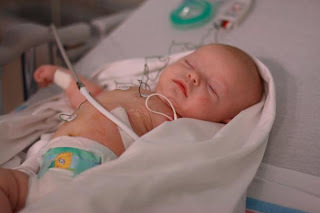 They were putting in several IV lines in case of her losing too much blood, the thought of never seeing my baby again was heart wrenching, it was the worst feeling in the world. Knowing that she might die was devastating. The took her back at 2:15, everything went flawlessly, the broviac placement and the tumor and adrenal resection. It was not infused in her stomach and when he removed it there was little spillage of tumor cells, a lot of the tumor appeared to be already dying although they could not confirm anything right away. They were able to do the bone scan but not the bone marrow, that would be done when they did her MIBG scan. 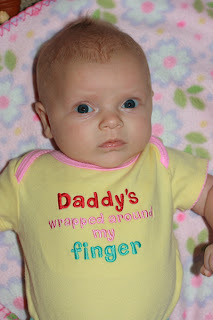 She looked nothing like our sweet little peanut, she was swollen, she no longer had her little baby newborn cry. She wallowed in pain, her stomach was covered in bandages and we felt the stab as well. 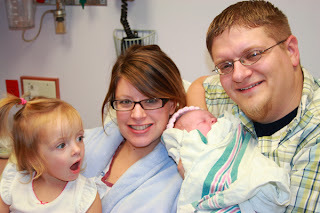 Watching our daughter go through immense hell, and there was nothing we could do about it. We just had to sit and wait. I have never fully written out the full story of Mallory's diagnosis, treatment, and remission. With this month being Childhood Cancer Awareness Month and Mallory's Birthday I thought it would be an appropriate time, I plan to elaborate more and more but for now is my rough sketch. Ashley, this had me tearing up. I can't even imagine what you all have gone through this past year. Thank you for sharing your story. 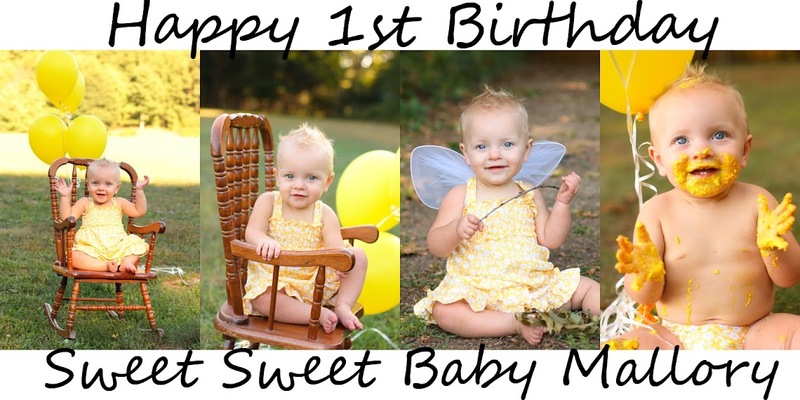 God bless you and sweet baby Mallory!! I have to say even though I have never met you Mallory is the luckiest girl to have you & Ryan as her parents. She is loved in every way, everyday and you were always giving her the will and want to fight. Your family is continually being prayed for as your family begins this new amazing journey. Keeping looking up and loving each other. God Bless!!!!!! This brought tears to my eyes. 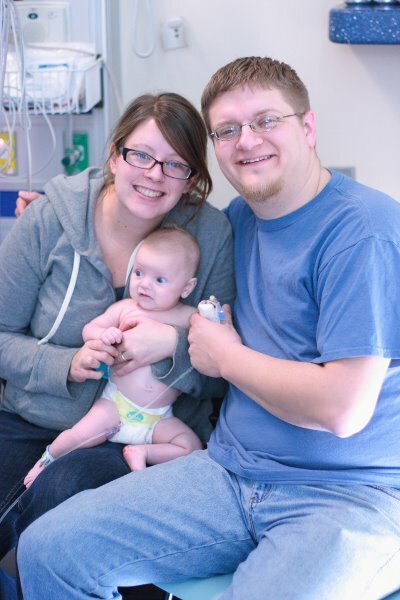 My son has been to DeVos so many times, and his third surgery is just two days away. We too have stayed on the 9th floor, but for different reason. He has VACTREL. Another extremely rare thing for children. I am so happy that Mallory is doing so well.